The issue is that these guys can stack up a bunch of ammunition in their houses and that's par for the course. Ya, Mr. Dumas. Spoken like someone who has never gone to the range. It takes me 30-60 minutes to pack for the range, another 30 to drive there, and another 30 to setup. Now you want me to go buy that ammo the same day, too? 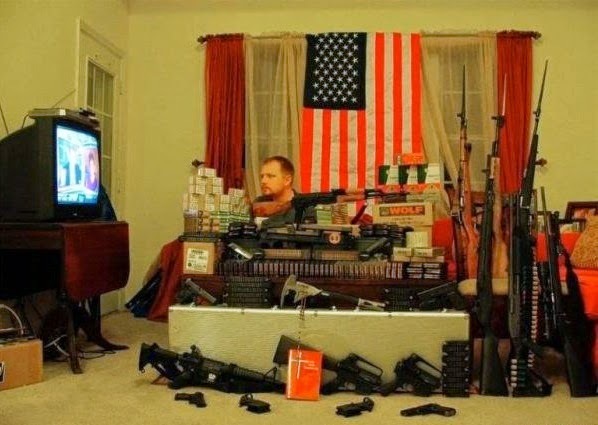 And do explain - how having 100 rounds in my basement now is different than buying a 100 rounds at Walmart now. Every mass shooter has one thing in common: he breaks existing gun laws. Let's fix that. Because if you don't, then it looks like your real agenda is to disarm the citizenry. Only tyrants do that. Hear all his gun-grabbing comments at The DC (includes video). Bottom Line: While the threat of gun-confiscation is forever real, our gun rights have been enhanced and expanded beyond all expectations during Obama's administration. Back in 2008, I would have bet the house on just the opposite.